SAVE 75% off the original price! 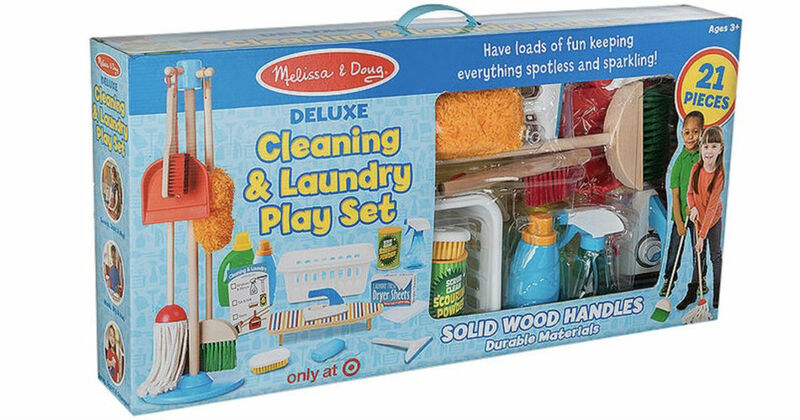 Through 12/29, Target has the Melissa & Doug Deluxe Cleaning Laundry Play Set on sale for only $39.99 (Regularly $79.99). Use the 50% off Melissa & Doug Deluxe Cleaning Play Set Cartwheel offer and pay only $19.99.